Imagination isn’t just for fairytales. It’s a vision for the way we conduct our lives and drive serious ROI for our businesses. Imagination challenges the norm, pushes boundaries, and helps us progress — or simply have new kinds of fun. Fostering imagination in the workplace may seem unrealistic, but companies like Pixar have seen exceptional results from investing in employees’ imaginations. Pixar’s original facilities divided the computer scientists, the animators, and the rest of the staff across three separate buildings. Under Steve Jobs, the staff was moved into one huge space with custom-tailored work areas and a studio designed with shared space at the center to maximize chance meetings and synchronicities among employees. Since the headquarters’ upgrade in 1999, Pixar has released some of its most popular and groundbreaking films, including “Toy Story,” “Finding Nemo,” “Cars,” “WALL-E,” and “Up.” Clearly, imagination can be profitable. Just because your company doesn’t create films doesn’t mean imagination isn’t important. If you don’t have imagination, your organization will end up with a rehash of boring, uninspiring ideas. Here are some reasons why imaginative ideas are worth your time and money. Imagination expands the canvas of possibilities to solve real problems. Remember the scene in “Apollo 13” when they had to figure out how to bring the astronauts back? “Failure is not an option” was the only constraint the team put on itself, and it used its imagination to solve a big problem — even sending the astronauts further away to get them to slingshot back. Traditional solutions probably wouldn’t have yielded the same result. Not everything is a “problem.” Christopher Columbus wasn’t solving a problem; he was seeing the world in a new way. The Wright brothers weren’t solving a problem; they used their imaginations to take humanity to new heights. Many of our greatest innovations come from possibilities, rather than explicit consumer needs. By investing in imagination, your startup can create breakthrough or substantially differentiated products and services that attract highly loyal, passionate customers. Café Gratitude is an award-winning restaurant that serves organic, plant-based dishes. It was founded on the principles of “sacred commerce” and has built a thriving business on gratitude, honesty, and creativity. Every human needs to imagine, dream, express, and create. It’s part of what gives us fulfillment and purpose in life. As I wrote in a series entitled “The Bright Human Spirit,” we’re at a turning point when imagination is no longer “nice to have”; it’s essential to compete in this fast-paced world. Great entrepreneurs understand that there’s a deep need within people to be curious, ideate, and dream, so they provide an outlet for their teams to do this. It’s a great way to recruit, motivate, and retain the best talent and establish a cohesive organization that thrives and excels. You can create significant competitive advantages in how you go to market, lower costs, or work with your partners. We’ve established a partnership with our creative and development firm, Stoddard + Partners, in which we operate as one team — we go to comedy shows together, play with toys, and have our kids come to meetings. This leads to breakthrough ideas and approaches. 1. Acknowledge your imagination readiness. Be authentic about what you know and what you don’t know about the process, and reflect on your organization’s current commitment to imagination. Consider whether your organization invests in people and ideas or shuts them down prematurely. Have an honest discussion. Paying lip service to imagination as a CEO will earn your reputation a fat lip with your employees. 2. 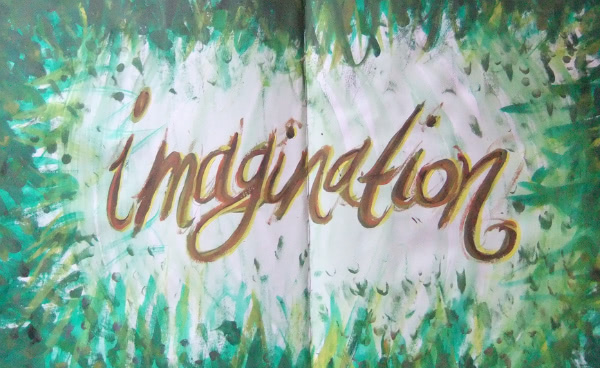 Cultivate a climate of imagination. Don’t focus on products or services. Focus on what it is about your organization that needs to align with imaginative ideas first. Use your imagination to overcome inertia and determine where to apply this new approach. 3. Draw from real-life experiences. Encourage your staff to draw on their day-to-day lives; see if there are any ideas from deeply observing their trips to the grocery store, online shopping experiences, customer service calls, etc. Encourage them to see whether there are parallels that apply to your business, products, or processes. Everyone wants to be heard. Listening can lead to amazing connections between ideas, but you need to be present and receptive first. While you won’t act on every idea, you won’t find those gems without doing some heavy listening and sifting through some rocks. Entrepreneurship is an expression of imagination: The entrepreneur identifies an opportunity and invents a business around it. By embracing and harnessing this inherent creativity, companies can set themselves apart with unique, inspiring ideas that create sustainable competitive advantages. Invest in nurturing your company’s creative side; you’re sure to develop a blockbuster product or service. 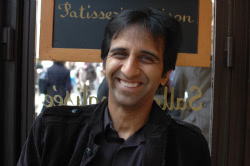 Paresh Shah is an experienced entrepreneur, executive, and innovation consultant. He is currently the founder and CEO of Glimpulse, creating products, services, and platforms for well-being via self-expression. Prior to Glimpulse, he co-founded a wireless multimedia company and raised $130 MM. He has served as an adjunct professor in strategy and entrepreneurship and earned an MBA at Harvard University.